Klin, Moscow State, Russia - 31 August 2018. The State Memorial Musical Museum of P.I. Tchaikovsky in Klin. 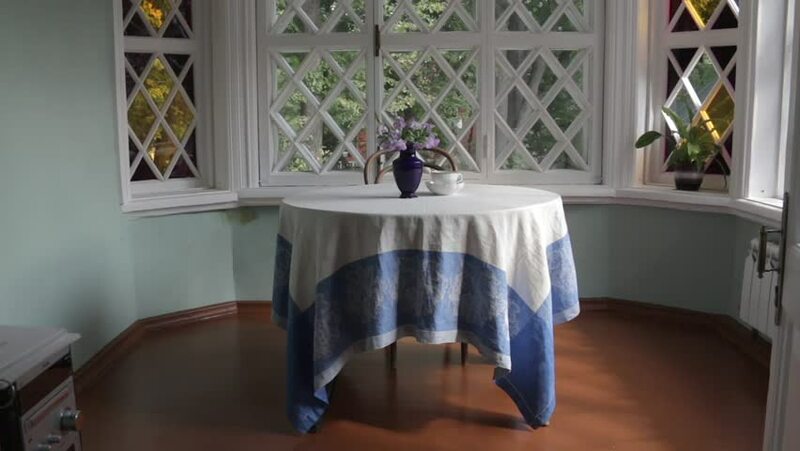 Balcony room with tabel and flowers inside memorial house. hd00:12A table is set and ready for the visitors to the castle. The napkins are organized in a nice way, too. Close-up shot. hd00:06Wedding hall. Interior of wedding hall. Decorations ready for guests. Tables setting at luxury wedding hall. hd00:14Beautiful bouquet of white chrysanthemums in a home interior. hd00:14Guest room in a luxury private holiday villa in Sri Lanka, South Asia. hd00:13A couple balancing home life and professional life. Authentic moments around the house are captured as the couple gets ready for the day, completes work on the computer.